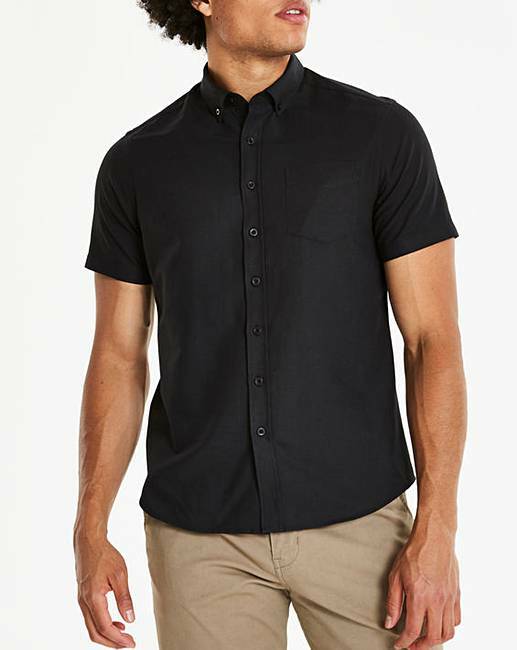 Black Short Sleeve Oxford Shirt is rated 4.4 out of 5 by 8. Rated 4 out of 5 by Gadgetwizard from Everyone needs an Oxford shirt Everyone needs have an Oxford shirt in their wardrobe!. Great for casual or business, with jeans with a smart trousers. Nice details like the button the sleeve and the button on the back of the collar. Lightweight fabric is comfortable - fit was very good. Rated 5 out of 5 by Jools from Mans shirt I bought this shirt 2 weeks ago. Really nice quality and would buy another one. Rated 1 out of 5 by Hogfather from Size not matching stated collar size When the shirt came and I tried it on the shirt was obviously larger than the collar stated size. The shirt should have been 2xl 50-52 in chest, when I measured the shirt it was 60 inch chest yet the label said XL. 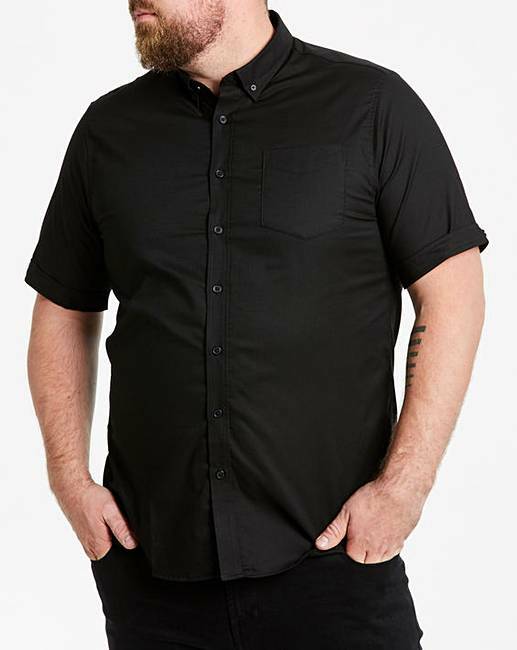 Rated 5 out of 5 by Sadie from Nice shirt I bought this 1 month ago and worn it twice,washed well no shrinkage.Good length and fit. 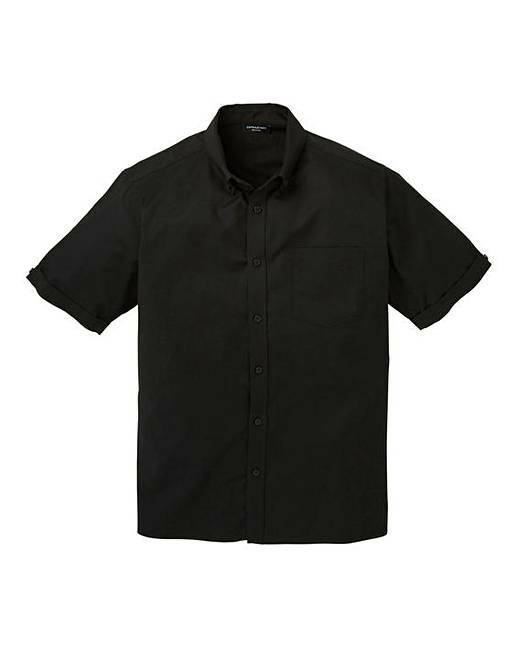 Rated 5 out of 5 by COOGIE from VERY SMART I BOUGHT THIS FOR WORK ,JUST WHAT I WANTED, PLUS ITS EASY TO IRON. Rated 5 out of 5 by Chris15987 from Exactly what I wanted. 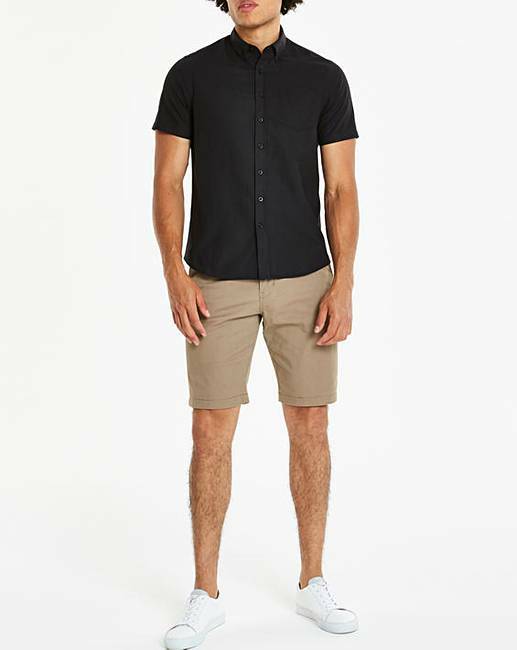 This shirt fits well, is well made and a reasonable price.